Could you please explain to me how to treat for termites in a safari boat. The best way is to have it fumigated. This way, the fumigate will penetrate into all areas of the boat 100% and kill the termites. 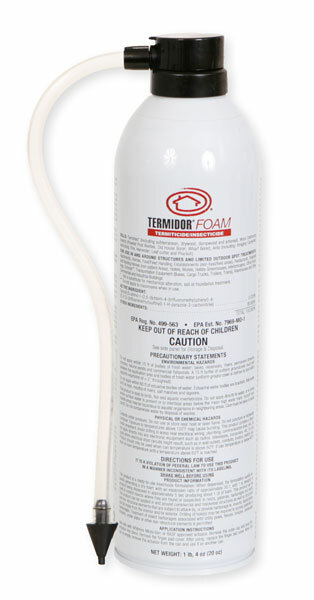 The only other way is to do spot treatments with Termidor Foam. The down side to this, is that you have to drill holes into the infested wood to be able to inject the Foam. You may have to drill many holes, which are only about 1/8", but this could potentially cause cosmetic damage and structural weakening. Basically, do to the foam treatment, you have to drill through the "kickout holes" and into the termite galleries which are inside the wood. The foam then has to be injected through the holes you drill to fill the galleries and kill the termites. There is no other way to do this effectively. Hope this helps.